Do you need to apply for an Australian visa? Home: Migration Translators: Do you need to apply for an Australian visa? Do you need to apply for an Australian visa? Do you fully understand what it is that you have to do? Be careful, because small misinterpretations of the questions on the visa application form can result in a refusal to grant you a visa. At the very least, simple errors in translation can mean a delay in the release of a visa. As many visas need to be sent to an Australian consulate or representative by mail or by courier, a requirement to fill a visa application out again can take a lot of time. One way to speed things up is to use a visa documents translation service to get the visa application form translated into your own language or at least the list of instructions and visa application information that normally accompanies it. That should help you to work out exactly how to fill the form in. There is a list of 10 common errors at the end of this article which are the sorts of errors which visa applicants make often. These errors are made by English language speakers, too, but the fact that your native language is not English just makes it easier to make an error. •Not attaching translations of every document requested. 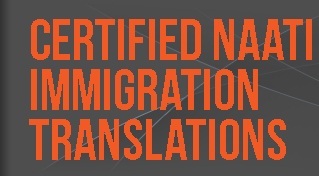 •Not signing an application in all the right places, or signing the form where a certified translation service is supposed to sign if they have helped in filling in the application. •Not paying the application fee correctly. Usually this is specified in the application information. •Not sending in a photo, if requested, which fits the exact specifications. Again this can easily be a matter of misinterpreting the guidelines. •Sending the application by mail from your home country rather than sending it by courier or by express post if that service is available. Mail services worldwide these days have become slower and more unreliable. •Handwriting information on the form rather than typing it in on an online form. Illegible information will simply be rejected by Australian visa officials or worse may be misinterpreted. •Putting false information down on the form. This will be viewed very harshly by visa officials even if it was done unintentionally because the question on the form was misunderstood.